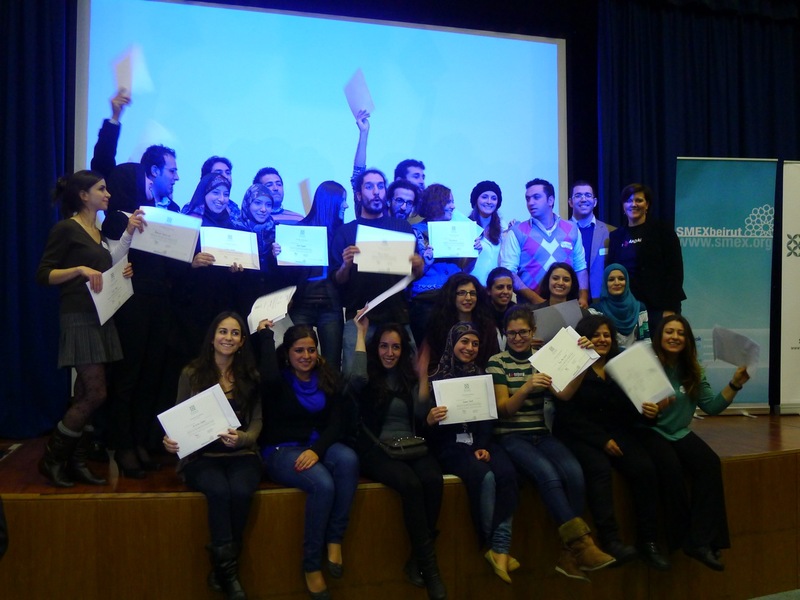 MADskills—MAD stands for media for advocacy and development—was our response to a demand from Lebanese civil society leaders and new young activists for training on how to use digital and social media strategically to achieve their goals. The seven-month program consisted of eight offline/online training modules, in English and Arabic, that covered basic Internet skills, social media tools and tactics, and an introduction to advocacy. Participants also had ample opportunity to practice their new social media skills at live events, including a tweetup to raise awareness about sexual harassment, the first TEDxBeirut, and the Share the MADness barcamp, which drew more than 200 attendees from all over Lebanon. Thirty-one of 42 participants graduated from the program—a remarkable completion rate of almost 70 percent—receiving certification as social media trainers. Program alumni have since led their own campaigns, started their own social media strategy firms, or incorporated their new skills into their positions with local NGOs and government offices. One even now works for Facebook. Several graduates have also become trainers, project partners, and volunteers with SMEX.